A ‘Report’ must be created and selected first. 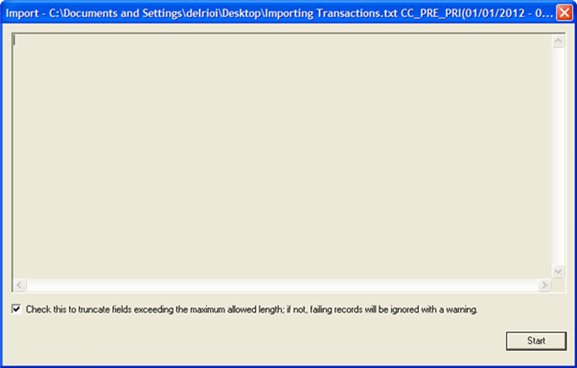 If a report is not selected the Import Transactions option will not be available. The report selected is also the report that the transactions will be imported into. Report Dates must be in range of import date criteria. The importing file must meet the standard requirements found in the MERTS Import Pack which can be downloaded from www.mertsplus.com located under the “Software Downloads” section. To import transactions into an already existing committee file select the report/campaign statement needed to import transactions. Reminder: The report selected is also the report that the transactions will be imported into. Report Dates must be in range of import date criteria. 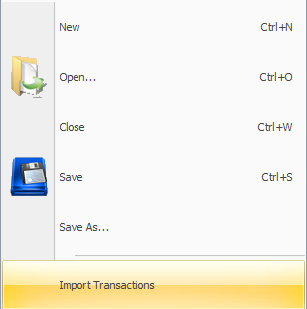 Select Import Transactions from the file menu. 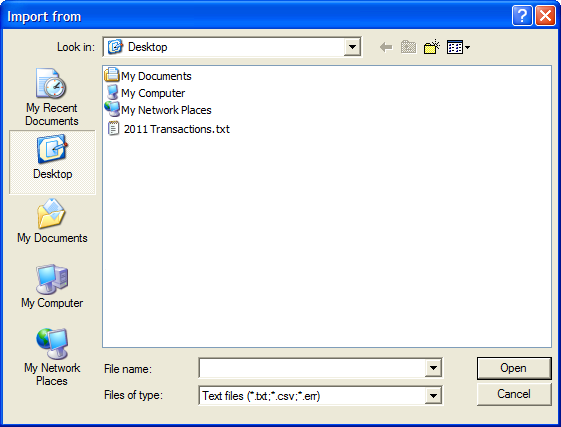 This feature imports Basic Transactions including the associated Names and Addresses. 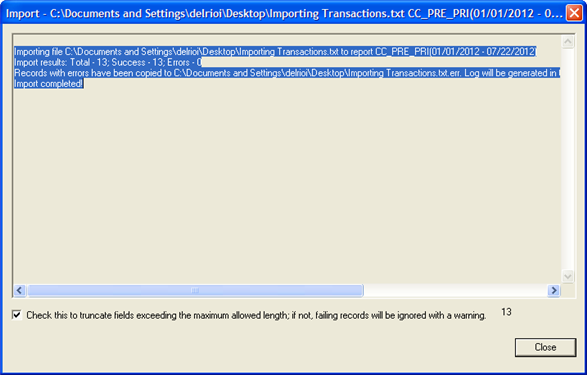 Select the file containing the importable transactions. Select Open to begin the import process. Select Start in the import box to continue. Select Ok to complete the import process. The software will provide an error list for records which were not importable. Review this list and select Close to return to the committee file. If records were not imported correctly or a list of errors are shown, verify the the file with the file layout or contact the MERTS Help for further assistance. If this is an existing committee file or already contains names within the names window the names with the same addresses are seen as separate records. A new name will be loaded into the system. Notice will NOT be given. For all others the Finish Partial Match window will appear. Identical Names are differentiated by address. 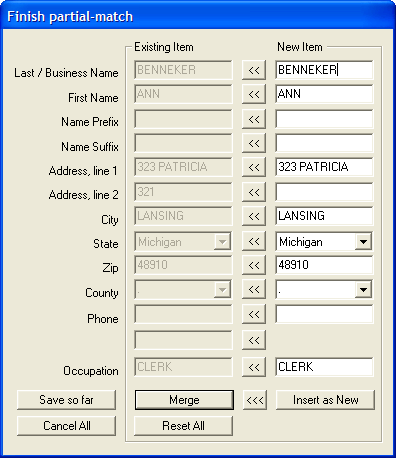 Different Names with the same address are seen as separate records. A new name will be loaded into the system. Notice will NOT be given. Select ‘Ok’ to save the entry.